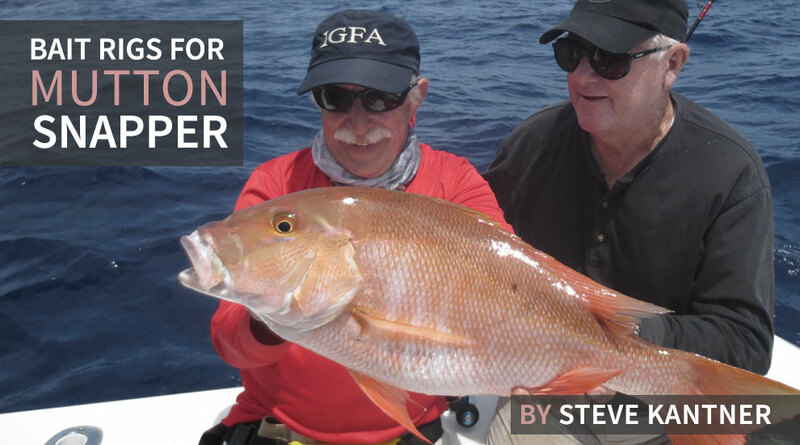 One of the all-time favorites snapper baits is a ballyhoo plug, one cut so it brings out the flavor of the bait while thwarting the little guys. These rigs are fished on the drift, preferably over sandy patches that run between reefs. Any good knot will do. 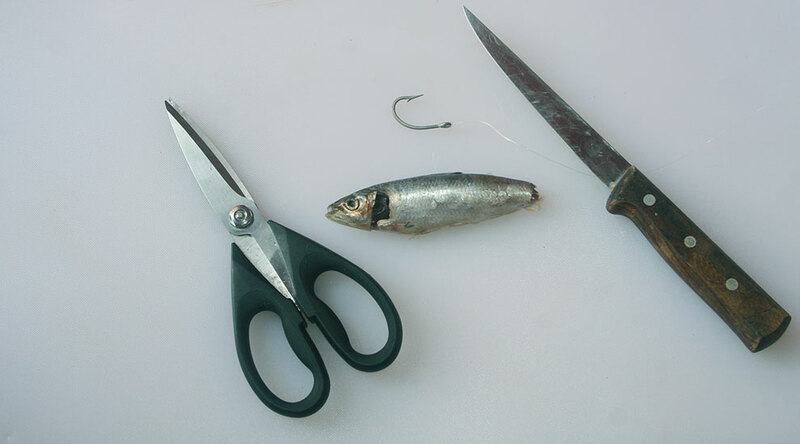 Baits can be fished on a circle hook such as the Gamakatsu 221416 or a Mustad 9175 O' Shaughnessy. Select flat-forged hooks that match the size of the bait. Start by cutting off the ballyhoo's tail at the base. 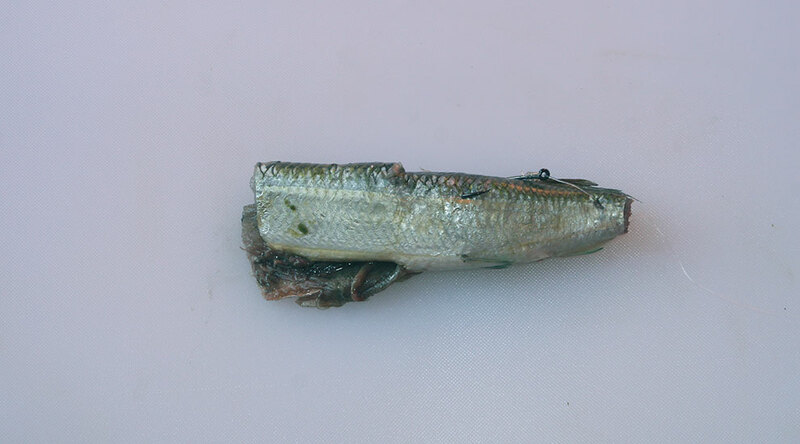 Then, just behind the gill plates, start filleting the bait backwards. Repeat the process on the opposite side. Next remove the head and reach into its body to break off the spine, which is removed with the head as a single unit. 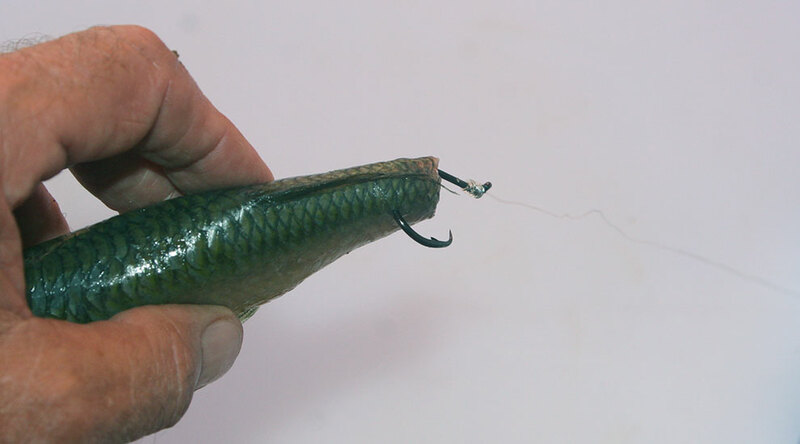 Hook the plug bait through the base of the tail before pulling the shank through the body. Pass your hook over the ballyhoo's back, and insert the hook again on the opposite side. The hook point should protrude just aft of the butterflied sections, whose job it is to fend-off the bait-stealers. Your bait is now ready for deployment. 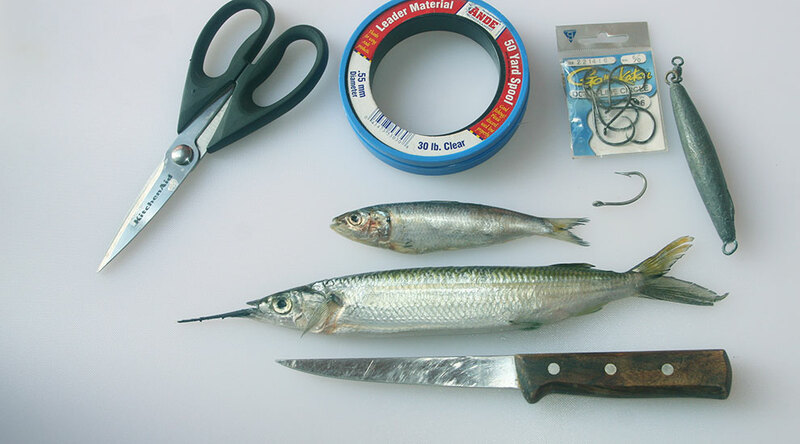 You can create a similar snapper bait with a Spanish sardine, with a minimum of down-sizing and preparation. The theory's the same, but the bait is much smaller. Since you'll be dragging an entire bait backwards, it needs an adjustment to keep it from spinning. 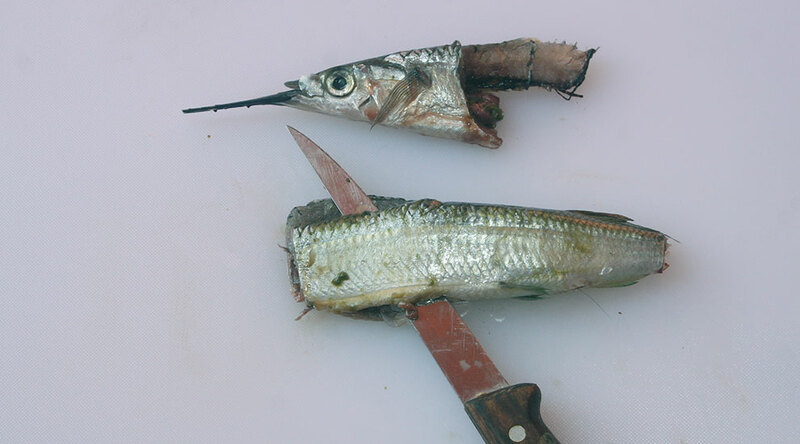 Start by snipping-off its gill plates with shears. Once again, remove the bait's tail before running your hook through the base. Then, just as before, it's up and over and out through the middle. It helps to remove a few scales around the hook point. The scales can prevent a hook-up. 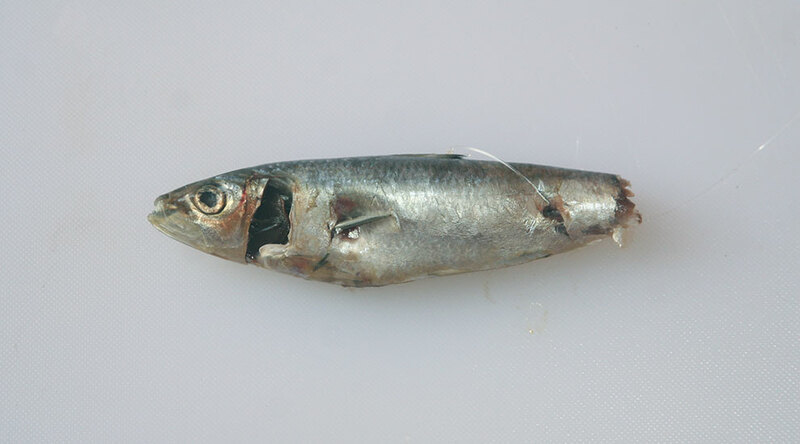 That goes for both sardines and ballyhoo.